In its 50th year, the classic American brand Land’s End heads north, bringing their timeless styles to dress the entire family here in Canada. The company offers everything from adult clothing, to children’s apparel, pet attire, home décor, as well as seasonal items for the holidays. They transform traditional styles and pieces into modern lifestyle products, while remaining true to their American roots. 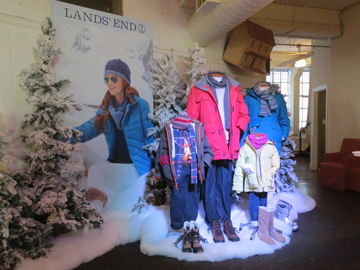 The Fifth Social Club hosted the launch event with a perfect rustic setting for Land’s End Launch into Canada, complete with a wintery backdrop. As a well-known American brand, the already established company takes a dip into the Canadian market, tailored to Canadian needs. The founders, who were both gold medalist sailors, wanted a company that is constantly improving, focused on the satisfaction of their customers. On September 18th, the company launched landsend.com, complete with Canadian price conversion and shipping fees. It showcases all of their most popular products, along with those targeted to Canadians such as winter apparel and accessories. 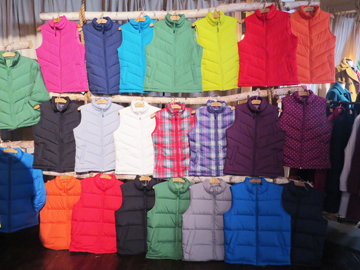 At the launch, there were beautifully coloured leather gloves, cashmere sweaters and a rainbow wall of down coats and vests. Just in time for the chilly weather!